We encourage attendees to attend the Special Exhibit on Cuba at the American Museum of Natural History (open until August 13). This exhibit can serve as a foundation to our conference’s discussion on Chinese in Cuba. We hope to get group discount and a special guided tour. Transportation option: Take mini van from Confucius Plaza to Flushing Library then walk along Main Street to Northern Blvd. 6:30 p.m. Welcoming Remarks, Dr. Keith Lowe, chair and co-founder, Toronto Hakka Conference; Dr. Bayer Jack-Wah Lee, pastor First Chinese Baptist Church of Chinatown NY and Paula Williams Madison, president, New York Hakka Conference. 7:30 p.m. Flushing Town Hall screens the film "Finding Samuel Lowe: China, Jamaica, Harlem" by Paula Williams Madison, followed by Q&A and her signing of her book (in English and Chinese translation). After retiring from NBCUniversal, Harlem-born Madison began actively to search for the Chinese side of her family from which the Jamaican side was separated for almost nine decades. She traveled to the Toronto Hakka Conference in 2012 and, with the help of attendees, found the threads that led her back to China to be reunited with her family of almost 150 generations. Her story is the subject of inquiry into the influence of West African conception of self-identity and spirituality on the formation of Afro/Caribbean Hakka identity. Get your tickets now, RSVP at Flushing Town Hall website. Option: Those who already saw the film could leave early if they wish but we encourage you to see it again. 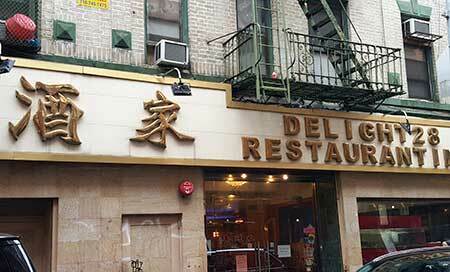 7:30 p.m. or 9:15 p.m. Attendees could have dinner in Flushing or return to Chinatown. Transportation option: Regularly scheduled mini vans ($3) from the Flushing Post Office to Confucius Plaza OR take MTA #7 train, then transfer to D train and exit at Grand Street Station in Chinatown, just a short walk to the conference hotel, Wyndham Plaza Chinatown, 93 Bowery St. NY, NY 10002. Traditional Hakka Unicorn Dance (Moo Kee Lin) performance. •Book-signing by authors: Henry Chang, Professor Tao Leigh Goffe and Paula Williams Madison. •Robert Hew takes requests from those wishing to find the names and locations of ancestors buried in the Chinese cemetery of Kingston, Jamaica. 1:30 - 2:30 pm -- TALES OF THE GOLDEN SPIKE: Did the Hakkas join the Punti? 4:00 p.m. Hakka Film Screening at 21 Pell or Evening Walking Tour of Chinatown, led by local residents.